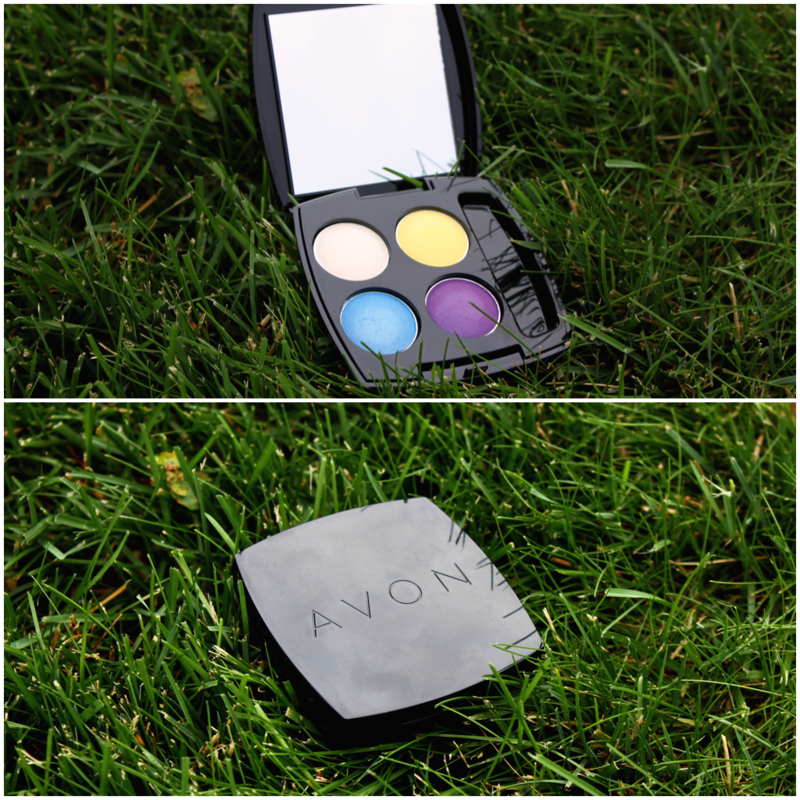 Avon eyeshadows are known for having that perfect balance of powdery goodness with the right amount of pigment– aka they’re easily blend-able to create the perfect watercolor eye look (what I did below– think light and airy) or a statement eye look (think bright, fun and very bold). 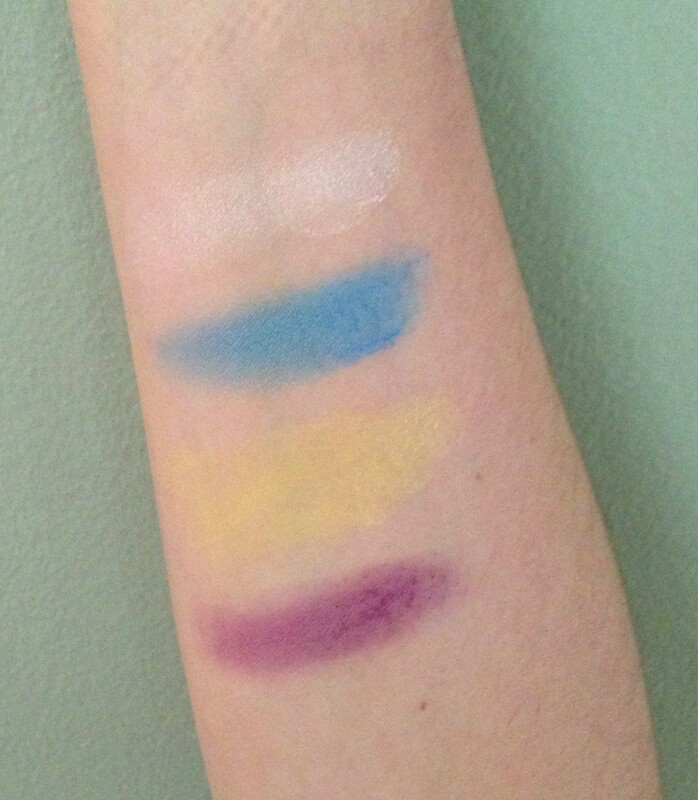 This True Color Eyeshadow Quad comes with four shades: White Gold (matte white with light gold shimmer finish embedded in it), Lagoon (light blue with a light metallic shimmer finish), Fresh Lemon (bright, matte yellow),and Electric Purple (bright purple with a light metallic shimmer finish). For my look, I used White Gold on my brow bone and all over my entire lid. Then, in the crease I used Lagoon and covered my lid with Electric Purple. On the waterline, I used Lagoon on the outside and Electric Purple towards the middle, blended. The corners of my eye have Fresh Lemon (lightly). With a touch of black mascara and some clear eyebrow gel, this quad is an easy go-to for a simplistic, yet standout summer eye that can make any eye color pop. The quad overall was an A+ in my book because not only was it so easy to use, but the pigments were also concentrated enough that one swipe was just enough to achieve a true color. For my look, however, I chose to stay on the light side and blend my shadows completely to give off that delicate look. I call this eye look the “Butterfly Effect” because with the eyelashes fanned out with black mascara, my eyes look not only delicately colored, but have an innocence and mystery to them as well. NOTE: This post is not sponsored. Samples were provided for review. All thoughts are my own. All photos were taken by me.